A renovation and addition bring an historic church complex into the 21st century. 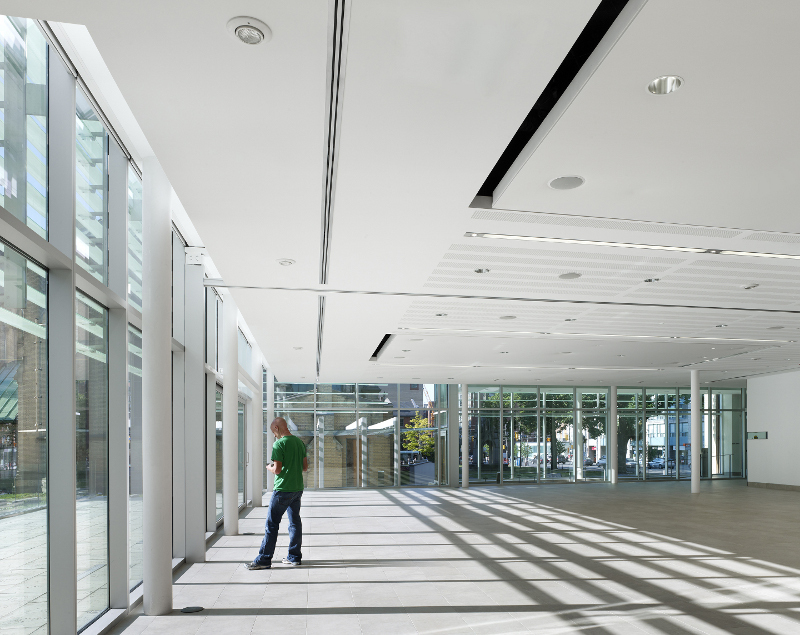 To maximize shading during the summer and solar gain during the winter, aA ran the sunscreen design through shadow analysis testing in ArchiCAD. 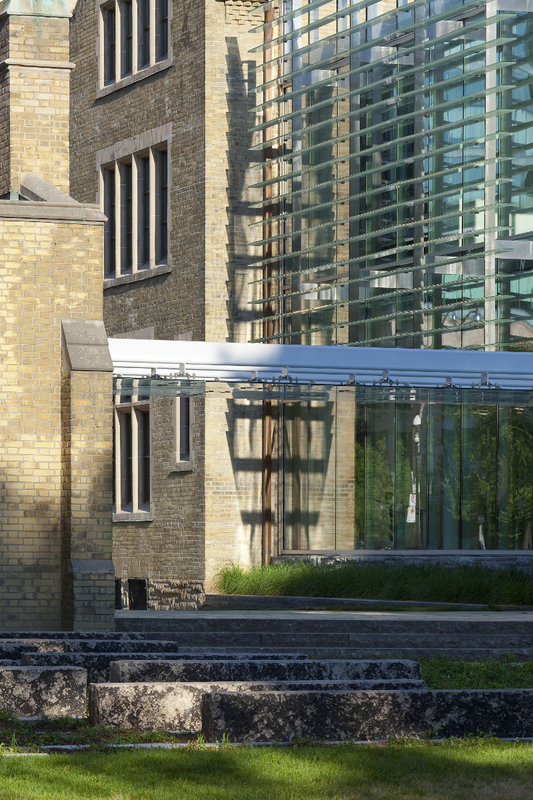 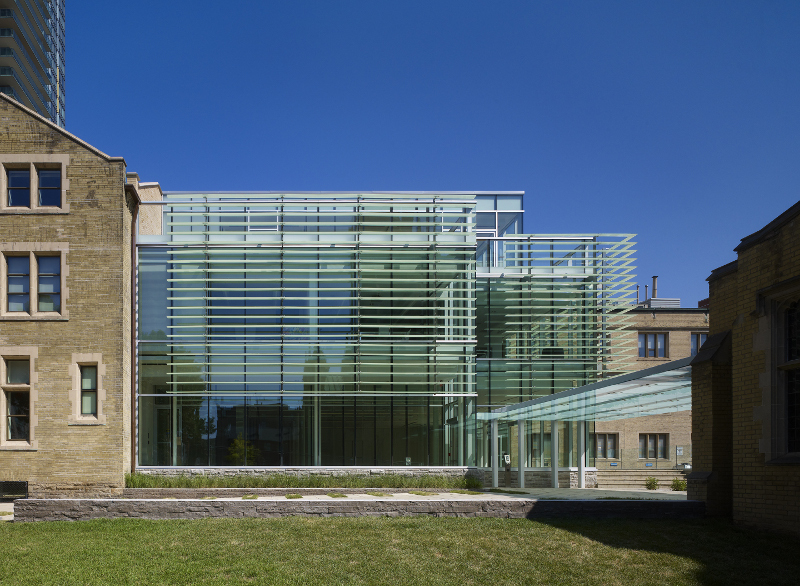 They worked with Stouffville Glass to engineer both the sunscreen and the curtain wall. 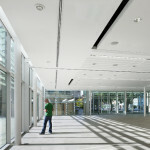 The sunscreen hangs on a vertical system of stainless steel brackets anchored to the HSS beams surrounding the slab edge of the second and third floors. 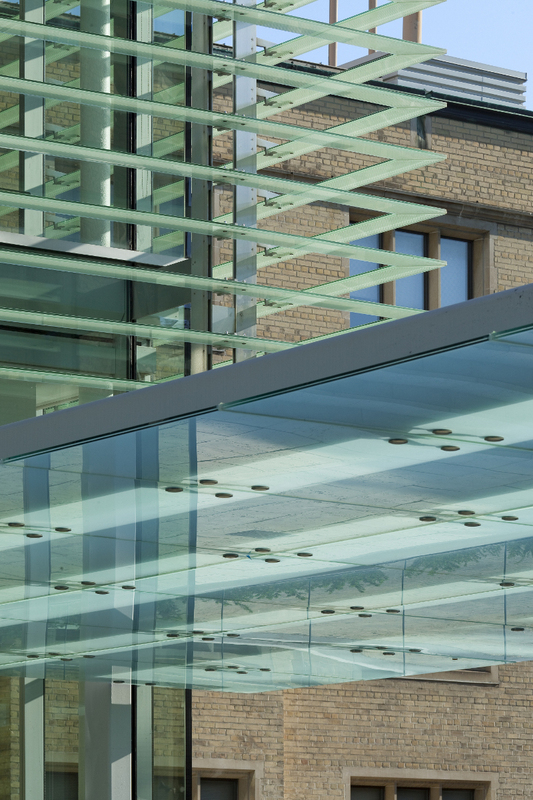 The glass panels’ interlayer is printed with a linear pattern recalling the original building’s narrow button bars. 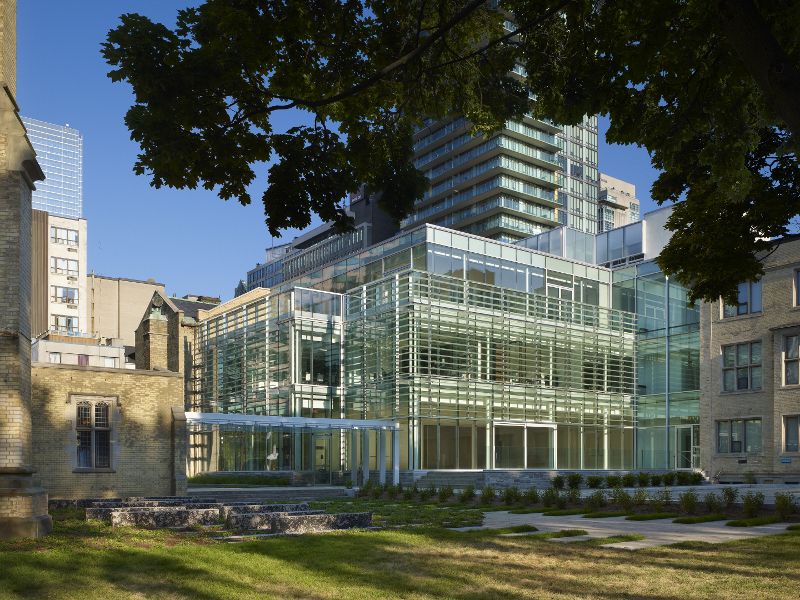 “The idea of the lines within the sunscreen was to create a finer grain of detail on the glass,” explained Cadeau. 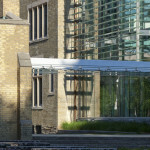 The curtain wall itself is built of Solarban 60 glass. 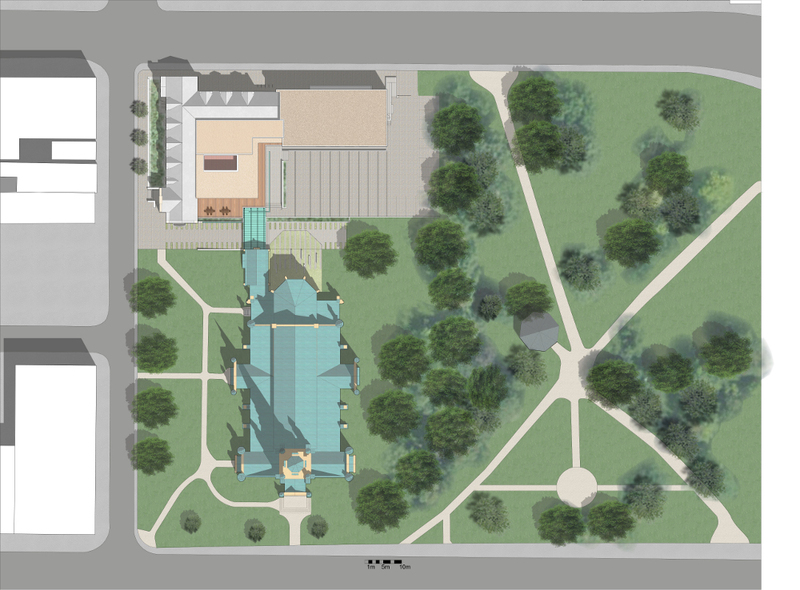 “It still provides the U value we wanted, but we didn’t want too much reflectivity because it’s a fairly small building,” said Cadeau. 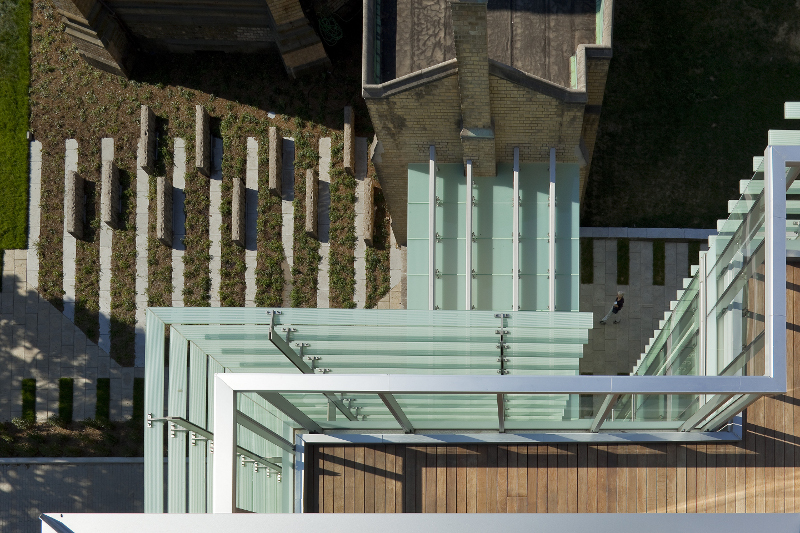 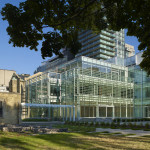 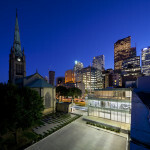 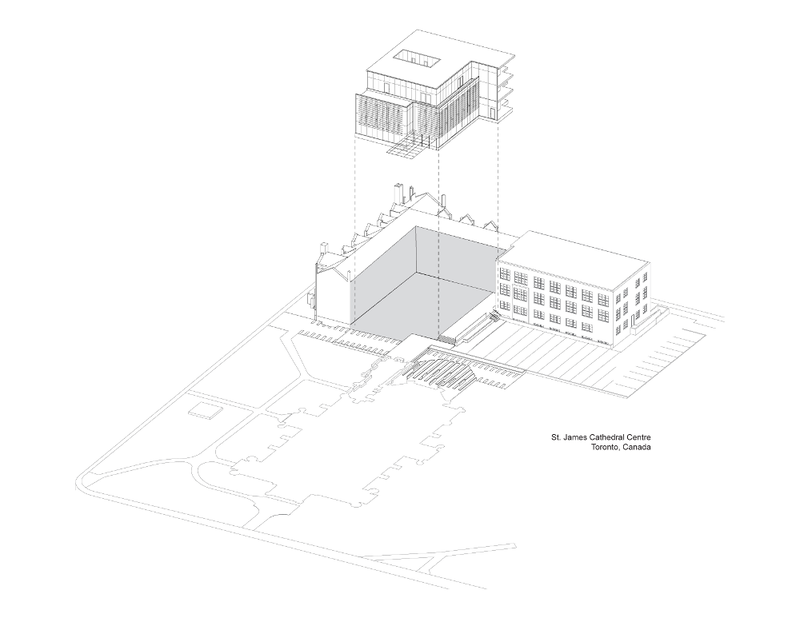 The new St. James Cathedral Centre unites a previously disconnected cluster of buildings across an enclosed courtyard. 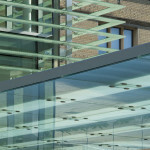 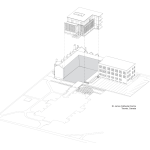 In that way, aA suggests, the glass addition functions as a contemporary cloister. 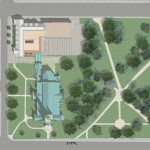 “In a larger, urban planning sense [the objective] was to complete the ensemble of buildings, create more of a connection between the buildings as a whole,” said Cadeau.